Last elections, Pratap Simha was a surprise BJP candidate from Mysuru-Kodagu Constituency and this time he is seeking re-election. The 43-year-old is undeterred and confident of a win as he says, he has nurtured his Constituency and worked relentlessly for its development. Star of Mysore (SOM): What have you done differently than the previous MPs? Pratap Simha: After being elected as an MP, I have brought several mega projects to my Constituency. The most recent one being upgradation of the existing four-lane Highway between Mysuru-Bengaluru into a 10-lane with a budget of Rs. 7,750 crore and work has already begun. What must be noted here is that Karnataka Government will not be spending a single penny on this. My priority has always been to improve connectivity to Mysuru as the region severely lacked it. And we must remember connectivity is a must for prosperity. So I took it up as a challenge and in the next two to three years, Mysuru will be seamlessly connected through road, rail and air. Once this happens, not only will industrial landscape improve but also tourism, which in turn means a prosperous Mysuru with more jobs. I would also like to remind my constituents that Mysuru-Bengaluru Railway track doubling was long pending and none of the previous MPs took interest in seeing it through. I took the initiative of translocating the centuries-old Tipu Armoury along the Railway track at a cost of Rs. 13 crore and again I had brought the money from the Centre. And today, not to sound pompous, I have been successful in bringing six new trains to Mysuru and now Mysuru is connected to cities like Hyderabad, Varanasi and Udaipur. Apart from this, the Satellite Railway Terminal costing Rs. 789 crore at Naganahalli on Mysuru-Bengaluru section was sanctioned during my tenure. Then everyone said the Mysore Airport at Mandakalli is jinxed and that no airline will ever consistently operate but under my tenure and under UDAN (Ude Deshka Aam Nagarik) scheme everyday there is a flight to Chennai and at least eight to nine new flights will be operated to cities including Bengaluru, Kochi, Hyderabad and Hubballi soon. Also, we are again expanding the runway for planes like A-320 to land and this is a completely Centre-funded project for which Rs. 700 crore has been sanctioned. I have to mention other development works also, like development of Chamundi Hill under ‘PRASAD’ (Pilgrimage Rejuvenation And Spiritual, Heritage Augmentation Drive) scheme from Centre costing Rs. 50 crore, construction of Mega Textile Cluster near Belawadi at a cost of Rs. 50 crore. The National Highways Authority of India (NHAI) has given green signal for Mysuru-Madikeri four-lane road and sanctioned Rs. 6,000 crore just for land acquisition. Then, the very visible flyover at Hinkal Junction has been completed. Under Central Road Fund, I have got Rs. 250 crore sanctioned for main road works in the Constituency. The Ring Road work has been completed and handed over to NHAI. It was my initiative to plant 6,000 Hebbevu saplings along 42-km-long median and 8,000 fruit-bearing trees along both the service roads. Of course, every one said Mysuru will never get a Passport Office but I did manage to get Post Office Passport Seva Kendra to Mysuru and so far 43,000 passports have been issued from this office. In fact, in your own paper SOM every Thursday along with the train time-table, you also publish contact details of Passport Seva Kendra and that shows how important and useful this Kendra is. And yes, I would like to take credit for bringing this service. Apart from this, under AMRUT (Atal Mission for Rejuvenation and Urban Transformation) scheme, six water tanks have been built at a cost of Rs. 29 crore at Yadavagiri and Vijayanagar. SOM: But your opponent C.H. Vijayashankar says many of the above projects were initiated by him. And why do you feel you will be a better MP than Vijayashankar? Pratap Simha: Apart from mega projects, many other development works have been undertaken during my tenure. Now, I want to ask my opponent this, how many new trains did he get to Mysuru in the 10 years that he was the MP? Zero. Yes, the airport terminal may have been built when he was the MP but what is the use of having just a terminal building at Mysore Airport without flights taking off? Coming to the question of why I feel I will be a better MP than Vijayashankar, please compare the development works initiated by me (as an MP for one term) and Vijayashankar (as two-term MP). Works speak and not words. Many development works that were only on paper before I became MP has been realised after 2014. I have given a report card on my achievements on my website http://pratapsimha.com/4-5-years-report-card/ and that is a complete and comprehensive one. Also, I have been an interactive MP. Before people hardly cared or knew who their MP was and didn’t even know what work they did but I have roused that interest in people to know who their MP is and keep an eye on what work I do. SOM: All you mentioned was for Mysuru, what about development of Kodagu and Hunsur? Pratap Simha: The more than 100-year-old proposal for a Railway line to Kodagu is becoming a reality with a line up to Ranigate in Periyapatna near Kushalnagar at an estimated cost of Rs. 1,850 crore. The works will begin for Mysuru-Madikeri four-lane road and also a Highway connecting Hassan-Channarayapatna-Shanivarsanthe-Somwarpet-Makutta from the Central Road Fund (CRF). The second phase, for improvement of roads across Mysuru-Kodagu Constituency is also in the pipeline. We also have to talk about Kodagu disaster where over 30 percent land was affected. There were over 20 deaths and each family got Rs. 7 lakh and of this, Rs. 6 lakh was paid by the Centre and the State gave Rs. 1 lakh. The Peraje-Suntikoppa Highway that was completely destroyed by floods has been reconstructed by the Centre. Under Members of Parliament Local Area Development (MPLAD) funds, I have given Rs. 9.5 crore to Kodagu for various development projects. As for Hunsur, for the first time in the history of tobacco growers in the region they were provided the highest average price. Before 2014, the average price per kg of tobacco was Rs. 129. In four years, prices rose from Rs. 135, Rs. 138 and the now the growers are getting Rs. 142 per kg. SOM: But there is severe opposition from environmentalists for Kodagu development. Pratap Simha: We are not developing Kodagu by destroying environment. I was the first elected representative to oppose the Thalassery-Mysuru Railway Line as it destroys eco-sensitive areas. Actually, Kodagu has the highest number of vehicles when you take per person per vehicle ratio. Where are roads for these vehicles? It is a tourism-centric district where there are hundreds of home stays supporting the local economy. And if we don’t have good roads, what will happen to the tourism industry? SOM: What have you done for women in your Constituency? Pratap Simha: Our Prime Minister believes in women empowerment and he has executed many programmes for women’s welfare. Crores of women have got smoke-free kitchen as a result of Ujjwala Yojana launched by Modi Government. These schemes have been effectively implemented in Mysuru-Kodagu too. And under the Swachh Bharat initiative, millions of women have been saved from the ignominy of relieving themselves in open spaces. SOM: If BJP comes back to power and you win, there is a talk that you will be appointed as a Minister of State? Pratap Simha: See, the ultimate aim is to serve people. I am not hankering for a Ministerial berth. I was elected to do work for Mysuru and Kodagu and I feel I have not only done good work but also done better than previous MPs. SOM: How does the Congress-JD(S) coalition affect your strategy this election? Pratap Simha: The people of Mysuru, Kodagu and Pratap Simha have a good coalition and that is all that matters to me. No other coalition matters. The work that I have done is my biggest asset. SOM: Do you feel you could serve people better as an MP than a journalist? Pratap Simha: When I was a journalist I was working within the four walls. My wife Arpitha and daughter Vipanchi were my world and I used to think how my writing would usher in a change in the society. As journalists, we write about making a change. We want to be the agents of change. But then there is a limit and when we exceed this limit, the next thing to do is enter politics in a bid to further that change. So overnight I became a politician and was thrown into public life. I realised that through a political position I could change the lives of many people. And this is precisely what I have tried to do and I certainly feel I have done my job with sincerity and honesty. SOM: There is talk that you don’t meet people on Sundays and that is upsetting some constituents and party workers. 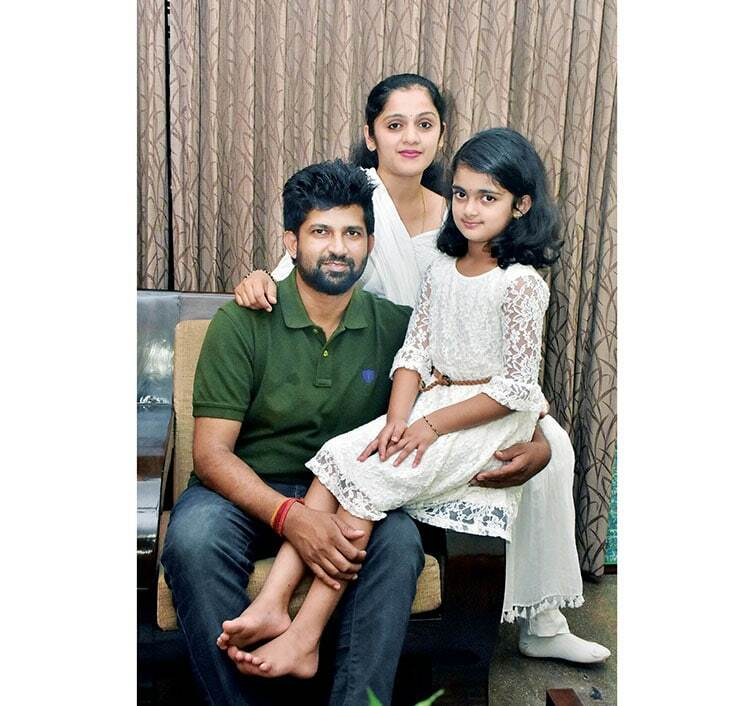 Pratap Simha: See, I know I am the people’s representative but I am also a husband and father to a small girl. Should I not give them my time at least once a week? I ask people to meet me at my office when they have work and I am there for them 6 days a week, Sunday is for my wife and daughter. When I tell people don’t meet me at home on Sundays, they think I am arrogant. No. I am not. I have great respect for party workers who have helped build the party in Mysuru-Kodagu and for working towards my victory in the last elections. What you are hearing is only rumours. SOM: What are your plans for your Constituency if you win the elections? 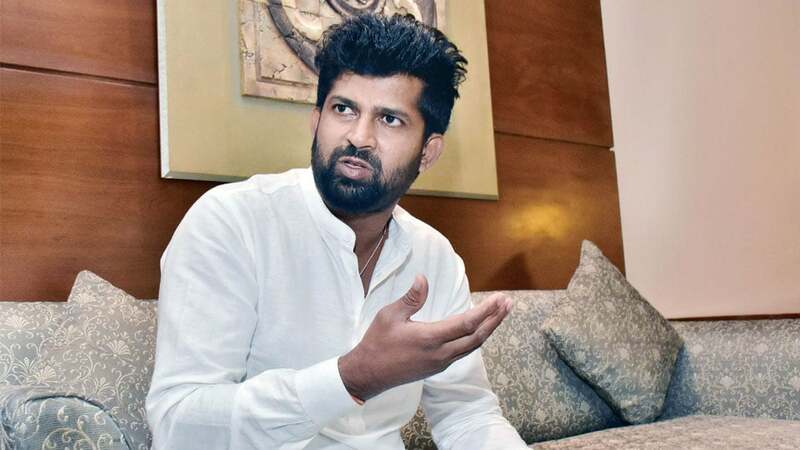 Pratap Simha: My first priority is to complete the connectivity projects launched during my tenure including the 10-lane Mysuru-Bengaluru Highway, expand the Mysore Airport runway to bring bigger flights, bring piped gas to industries and homes in Mysuru, set up a Software Technology Park in Mysuru that will immensely help engineering colleges and software companies. I want Kodagu to grow as a nature-tourist destination and also assure everyone that I want to achieve this by keeping environmental issues in mind. SOM: Despite so many development works, why don’t you seek votes on a development plank instead of invoking Modi all the time? Pratap Simha: The credit of developing my Constituency goes directly to Modi and the Ministries. Earlier we had a passive PM and the MPs in our Constituency were not result-oriented leaders. Now we have a pro-active PM whose single focus is nation’s development and I am enthused by that. Yes, Modi is my driving force and the biggest inspiration, so I invoke him. That apart, PM Modi has been generous in sanctioning funds for various projects for our Constituency. SOM: Does your wife help in poll campaign? Pratap Simha: While I am busy with my party workers from morning till night, my wife too campaigns with women cadre at places where I am not campaigning on that particular day. During this time we have “baby sitting” problems as we don’t know where to leave my daughter. Sometimes we leave her with my mother or my mother-in-law, other times we have to leave her with my security staff who keep her busy. Actually, she keeps them busy (laughs). SOM: Why must people vote you back? Pratap Simha: The people of Mysuru- Kodagu voted for me the first time with two expectations — first, that I be honest and second, that I do work. I want to tell my constituents I have done both. I have been honest and also done good work. As for my honesty, if anyone has any doubt let them come forth and I am ready to face them. I always say if one day when my daughter is walking and someone even passes a comment that “here goes the daughter of a corrupt politician” there is no greater sin I have committed as a father. So I will never let that happen. Not just that, I did not jump into politics for money or power. I want to be remembered for my work and my service. And as for my work, I feel I have done the best I could in 5 years. In fact, I have done more work than any other MP has done in decades. And now, I want to continue the numerous projects that are in the pipeline and strive for a prosperous Mysuru and Kodagu.